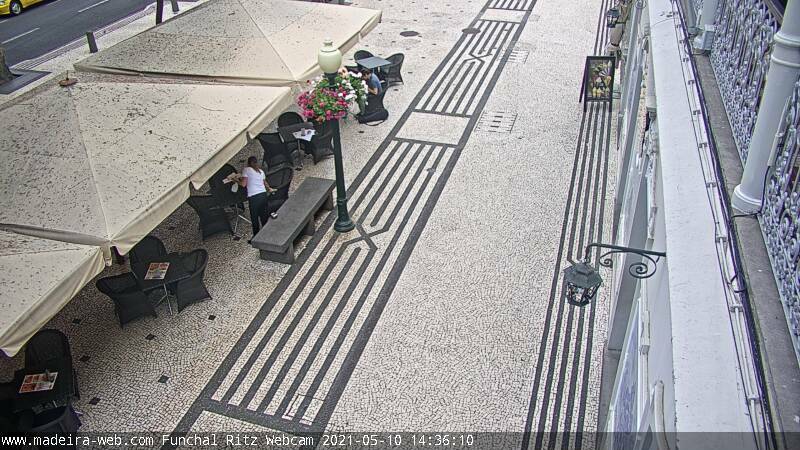 The Ritz Madeira webcam is located at the Ritz, one of the oldest cafes and restaurants in Funchal. The live band plays every afternoon and evening. The Cabaret Dinner show every Friday and Saturday night at The Ritz staring Sian Lesley.